For participation, activities and submission of data is facilitated through ODK app. For questions regarding AntWeb, please contact Brian L. Fisher at the California Academy of Sciences, antweb@calacademy.org. Record data that will help researchers advance our understanding of biodiversity and our planet. Ants are incredible, especially because they act as a special "keystone" species that can indicate just how healthy and diverse all the plants and animals are. Volunteers need to have an Android phone and will need to go to the Android Marketplace and search for and install the "ODK Collect" app. 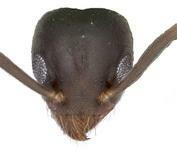 Must have android phone and be able to download ant collector app. The Urban Ant Collector app is an Android app that allows you to collect and record data just like a professional scientist. It uses Open Data Kit, a free and open-source set of tools which help organizations author, field, and manage mobile data collection solutions.